Welcome to the Kit Karts app! 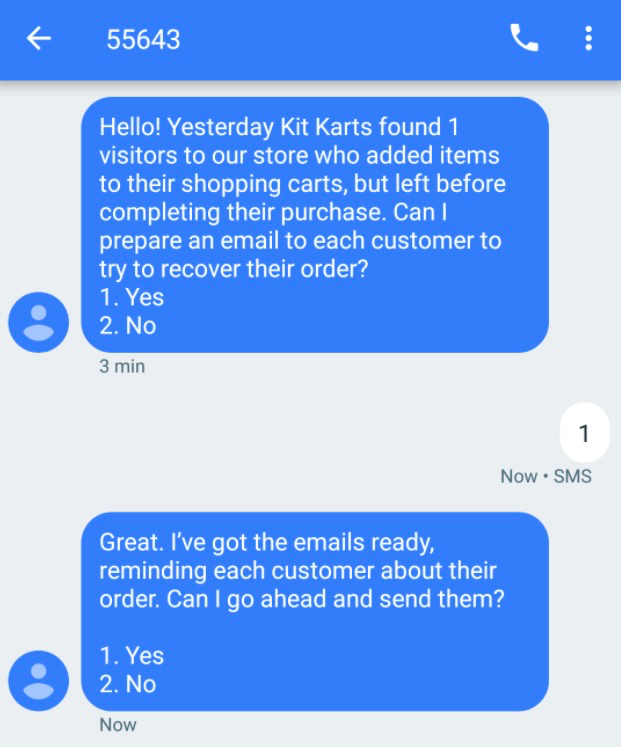 Kit Karts automatically aggregates all abandoned carts from the previous day and notifies you through SMS with your Kit app. 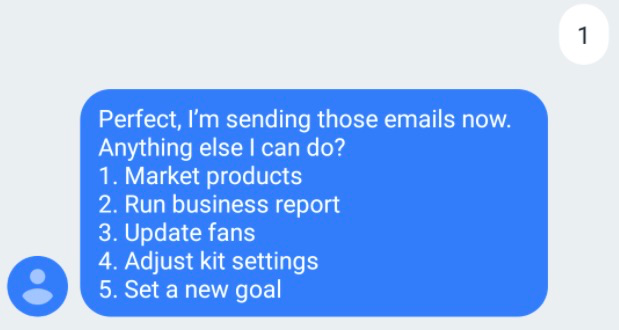 Simply respond ‘Yes' or '1' to Kit to have recovery emails generated and sent out to recover these customers and sales. Once they are connected, the Kit Karts app will begin tracking any abandoned carts that are left on your store. 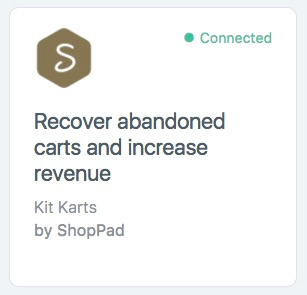 To learn more about what you can expect from the Kit Karts app and how you will actually go about recovering these abandoned carts on your store, you can check out a help article that will walk you through the whole process by clicking here! You'll also see the total value recovered from your Kit Karts app through the recovery emails sent out to customers who did leave carts abandoned carts on your store. Next, you'll see some Send Metrics, detailing the last 100 abandoned carts tracked by Kit Karts on your store. It will list the customer's email address, the date the cart was abandoned, and if a recovery email was sent to them. You can set the time when Kit will contact you about abandoned carts. There are two times offered, and each will display based on your local timezone. Below that, you'll be able to edit and customize your recovery email and its subject line sent out to your customers. 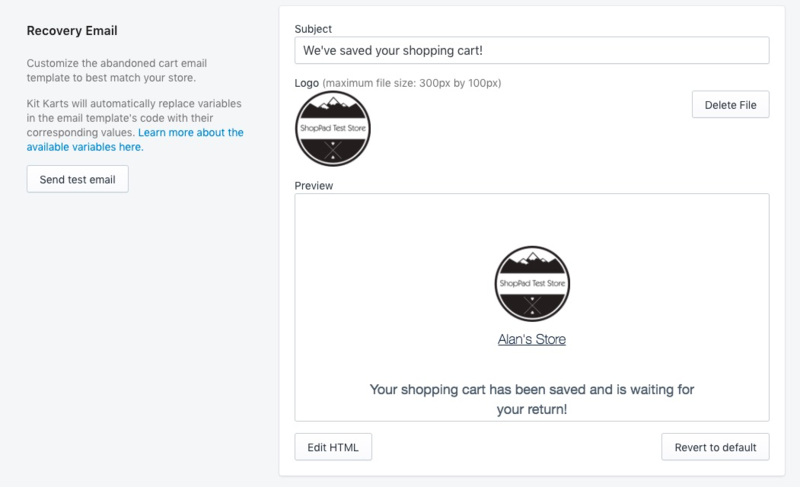 By default, it will have some text and code to list all of the items that your customer left in the cart so that they can pick up right where they left off on your store.You can also check out this document if you want to add in any other code configurations to your Recovery Email. Don't forget to hit Save at the top of your page!